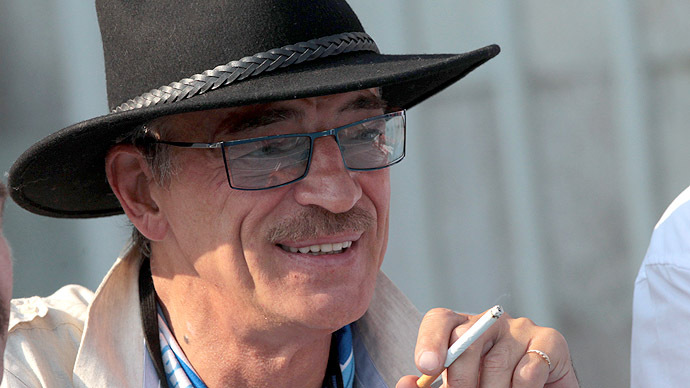 With tough new anti-smoking laws set to be enacted in Russia in the coming months and years, a ‘smokers’ rights’ movement headed by a flamboyant Soviet-era actor has been formed to “protect the rights and dignity” of Russians who light up. Members of the All-Russian Movement for Smokers’ Rights voted during their founding convention to collect signatures to highlight how a recently approved law on limiting tobacco smoking in Russia allegedly violates citizens’ rights. 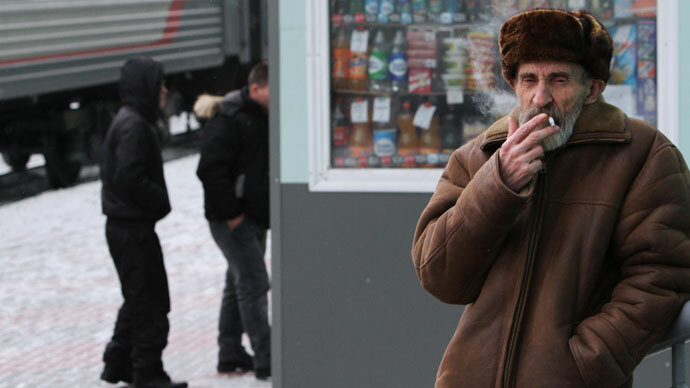 The group argues that Russia must provide smokers with places where they may smoke tobacco without violating their human dignity – such as installing specially designed smoking rooms in long-distance trains, passenger aircraft and ships, as well as in prisons and hospitals. The movement is headed by Mikhail Boyarskiy – a 63-year-old movie star best known for his role as D’Artagnan in the Soviet musical adaptation of the ‘Three Musketeers.’ Boyarsky is also famous for always wearing hats in public, usually his trademark black Stetson. Russia’s Federation of Independent Trade Unions backed the new movement, claiming that the anti-smoking laws infringed on the rights of smoking workers. 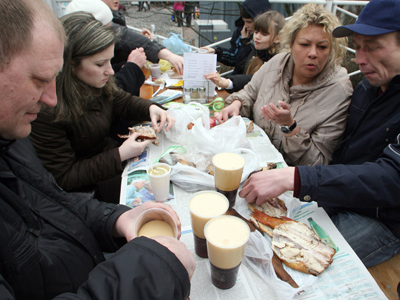 Trade union leaders also expressed fears that the elimination of designated smoking areas at Russian businesses would lead to workplace stress. The smokers’ rights movement said, however, that it does not seek to promote tobacco or spread the habit to non-smokers, or question the fact that smoking is a health hazard. The new law on tobacco smoking was approved in February this year and will come into force on June 1, after which tobacco smoking will be banned in Russian schools, state offices, workplaces, public transport – including stations, airports and transport stops – elevators, stairwells of residential buildings and playgrounds. 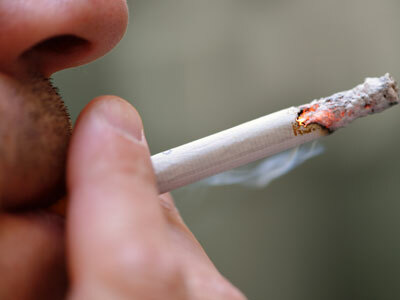 Starting in 2014, smoking will be banned in cafes and restaurants, and inside all public buildings by 2016. The new law also mandates restrictions on tobacco advertising and bans tobacco sales at kiosks. At a recent session of the Russian government’s health protection committee, Prime Minister Dmitry Medvedev said the new law could prevent up to 200,000 deaths annually. Russia ranks among the heaviest-smoking nations in the world – up to 40 percent of the population are regular smokers, according to the WHO.